Friday, 22 August 2014 Be the first to comment! When we arrived in Iceland, the first thing we did was drive to the Blue Lagoon. To get here you drive across unending black lava fields which many would find desolate, but to me had a sort of bleak beauty and it is really no exaggeration that I basically fell in love with the landscape at first sight - as overly dramatic as that sounds! At the Blue Lagoon we changed into our swimwear and headed out to the water. I must admit the weather was pretty bad (I learned quickly that the best way to describe the weather in Iceland is 'wildly unpredictable...'). However, the milky blue water was toasty warm and as we floated around I was overwhelmed with the beauty of the place, with its pitch black lava backdrop against the blue of the water. It is well known as a tourist hotspot and I've heard some people say it's too busy and too commercial so I was a bit dubious but, it was quite simply wonderful. Yes, there are a lot of people there, but the lagoon is large enough that it never feels overcrowded and, as my very first taste of Iceland, it was pretty great. 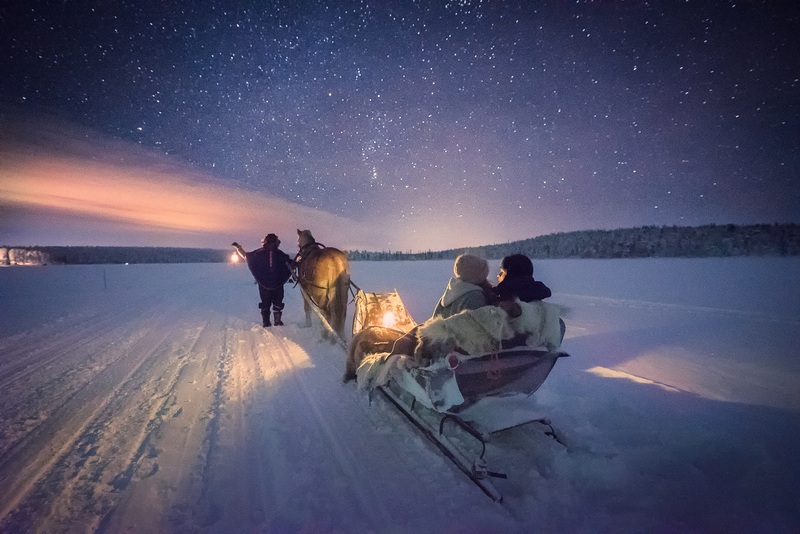 Speaking to fellow travellers the best times to go are early in the morning or late in the evening as it is much quieter then – late evenings in particular during the Midnight Sun are said to be rather special.